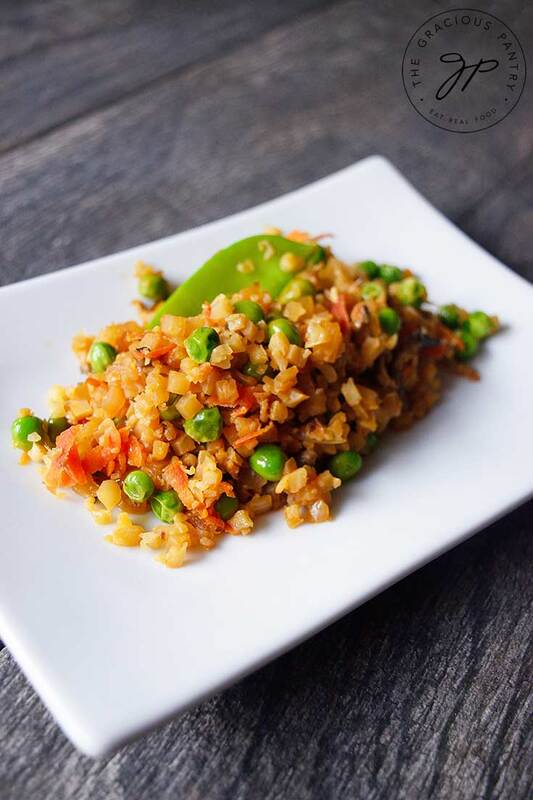 This clean eating cauliflower fried rice recipe is a wonderful way to ring in the Chinese New Year! Today is the beginning of the Chinese New Year! The year of the Pig, to be exact. A year that should bring wealth and prosperity. (Yes, please!) So I thought I’d offer up a little recipe that can help you celebrate! As I’ve mentioned before, I’m not a huge rice eater. I like it, but I don’t make it much. What I make more of is cauliflower rice. I love the stuff! It’s easier on my blood sugar thanks to being lower in carbs, and the flavor is wonderful. Gotta love those veggies! So I got to work on a recipe that would replace the traditional rice dish at my Chinese New Year dinner table this year, and it was totally tasty! Wondering why this dish is perfect for Chinese New Year? Here’s what the ingredients mean! Cauliflower rice – Rice is for wealth, fertility and luck. So you see, it’s a great dish all the way around! You get all that luck and wealth along with good health from eating a bunch of veggies! A delicious substitute for this traditionally, carb-heavy dish! In a small bowl, mix together the tamari sauce, rice vinegar and half the sesame oil. Set aside. In a large skillet, warm the remaining sesame oil and add the cauliflower, garlic, ginger, onion and grated carrots to the skillet. When all is warmed through, add in the remaining vegetables and continue to cook until everything is cooked through. If the skillet dries out, use the reserve broth a little at a time, as needed during cooking. Serve as a side dish with a little extra Tamari sauce if needed. If you wanted to make it lower carb (I do!) 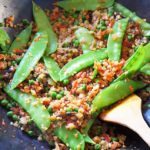 you can sub out shelled edamame for the peas, which would make it even more authentically Asian in flavor Make sure the rice vinegar isn’t “seasoned” (code for “we add sugar”) and maybe cut back on the carrots a bit. 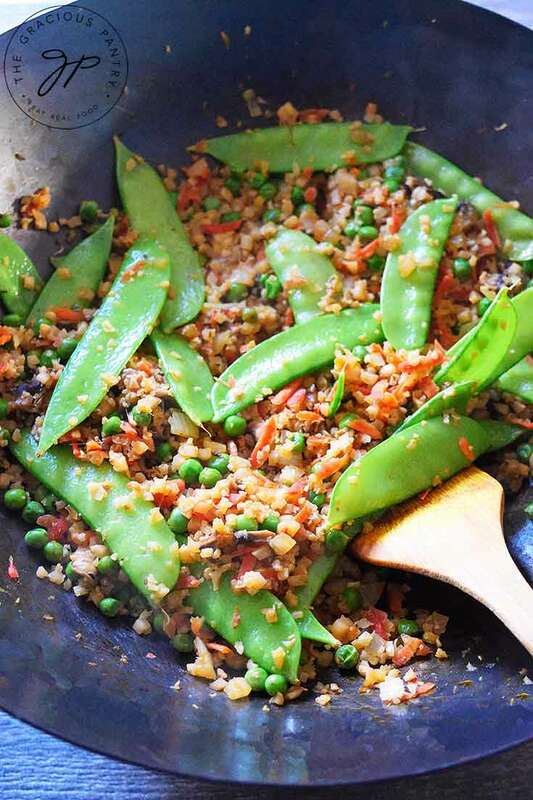 By halfing the carrots and replacing the peas, you knock about 5g of carbs off per serving!